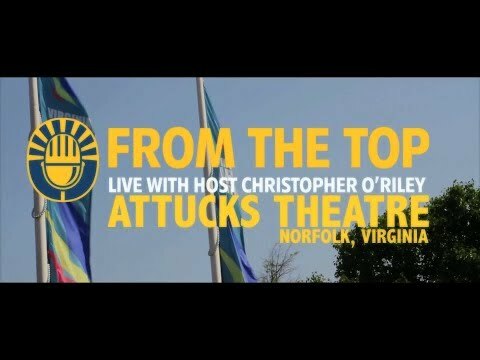 The Rhythm Project All Stars performed on NPR’s From the Top with Host Christopher O’Riley (Show 290) recorded May 2014. 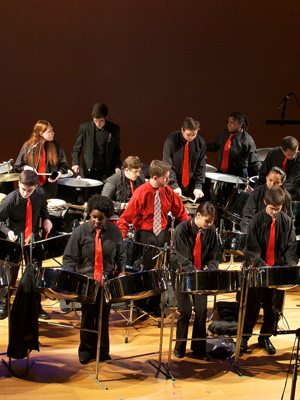 The Rhythm Project All Stars are a world percussion ensemble for high school students dedicated to the nurturing of self-esteem through individual and cooperative achievement. Founded in 1996, the program was started in Portsmouth, Virginia, by the Virginia Arts Festival. The All Stars, 2009 and 2010 PANorama Caribbean Music Fest Grand Champions, have earned international acclaim for their high energy performances over the years. They have opened for Gladys Knight, collaborated with the GirlÕs Choir of Harlem, and performed at the Royal Nova Scotia and Virginia International Tattoos.